The activity of the Sun, the Moon, the stars and all the heavenly bodies exert tremendous influence on the soul of man regardless of whether he realises it or not. From this point of view all heavenly bodies represent a great Divine world. All together represent the intelligent worlds. We see only the outside, but not inside where lies all the glory. Each solar system in a certain degree represents intelligence. All solar systems, as well as ours, in turn, represent a group of systems. The whole space has the shape of a man and the smallest particle corresponds to the relevant part of this great, great body. Famous stars of the Milky Way, or any constellation, or entire systems can talk with you, wherever you are. They have stations in your brain. If you know their language every day you can hear a story from the Sun, from a planet, from a star. All the planets have their purpose. On them live advanced beings. They are more advanced in age and in wisdom than us, because they have emerged from God much earlier than us. Their wisdom is so great that the culture of the modern world, in comparison with the culture of Sirius is in its infancy. One day, when our solar system will finish its development, it will go the way of Sirius and then we will have completely different conceptions of things. The planets, in general the heavenly bodies, are centres out of which go enormous energies in all directions and on this is based their importance. There are special situations, where important moments in life are determined by the position of the planets, the Sun and the stars. Our universe has more than 10 million suns. If you put at each sun 12 planets, how many they will be? 120 million. If you put on these planets satellites like the Moon, they become too many. And those, who have created them, they know the names of the 10 million suns. You know 3-4 thousand words, what memory do you have? In us, the modern people should be born an idea about God, about that greatness that is in His mind. What facilities, what physical abilities He has given to us only! In our universe there are 10 million suns, around each sun there are 12 planets, which means 120 million. You should walk around all the suns and to live at each for a million years. When you come back from your physical travel, then you will enter the second paradise of the angels. In the spiritual world there are spiritual planets, and spiritual suns there are. On each sun there you will live for 10 million years, you will walk around all of them. When you will be back; you would have finished your walk in the spiritual world. Then you will enter the third heaven of the angels and there in each world you will live for a milliard years. When you will be back, you would have finished your walk in the third heaven. This is already what you do not understand. Until now people did not know much about the Milky Way. The Bulgarians have even called it ’Krum’s straw’. They have a very popular explanation for the formation of the Milky Way. According to them someone came in to steal his godfather straw. When he has loaded it, on the way the straw has fallen on and the Milky Way has been formed. The Bulgarians have had this particular idea about Milky Way, but it is not scientific. Old-time calculations of the Milky Way have been such that they say in the Milky Way was 18 million suns, and according to new calculations in the Milky Way has 100 million suns. And they have not been round, but circular. To go from one end of the Milky Way to the other, it had to take 50,000 light years away, and only from one end of the diameter to the other end of the diameter. Therefore, it should be taken into consideration a path that light could pass for one year, moving with 300,000 km per second. This is what the scientists take as the unit, or a light-year. So these 50,000 years are required to pass only the diameter of the Milky Way. And the Sun to go around the hub of the Milky Way only once needs 200 million years. There are three factors in the world that play an important role: on the first place is the human personality, on the second ­ home, that man comes from, and on the third ­ his people. Then you can enlarge this division farther: on the first place is man, then ­ society and finally ­ a world out of society, the cosmic world. The astrologers call this world the influence of the planets, of the stars on man, but not in the limited way as it is understood today. On all the planets there is life, but on some of the planets life is visible, and on the others ­ invisible. There are creatures in nature that can enlighten the world everywhere ­ there are many types of rays. Could be done, we can perceive some other light in which at night we can see, but Providence has ordered a day and night and the night is dark to see the stars because they act educative. By watching the stars we connect with the eternal, with a world of great harmony and beauty, thoughts of bright creatures that inhabit them and it raises and ennobles us. This gives us the impulse to live for something sublime. There are worlds of beings that are so advanced and are constantly directing their telescopes to the Earth to watch and enjoy people moving on this small planet Earth. They enjoy and watch people struggle up and say, "We will give them incentive, we will send them our blessings." There are many other solar systems that are interested in us and all beings on the Earth. For example, the Milky Way is one of those systems. You will say: "These are claims" Yes, for you they are claims only, but for me they are a reality. One day you'll reach the degree to communicate with these planets and systems, as well as people now communicate with Paris, London and elsewhere. Like today, people talk to each other over long distances, and you will speak with beings of various systems. There are creatures far more rational, with a much higher culture than the ones on the Earth. You will say: "Yes, in this case, life does have meaning." But now you are not yet ready, your brain is still missing the device to withstand high tensions. One thing you should know: if there is life on the planets, for instance, on the Moon, on Venus, on Mars, on Jupiter, it will be radically different from the life on the Earth. In all the worlds as individual organisms, there is great variety. According to some scholars, the inhabitants of Mars have a lower culture than the people of the Earth. We do not know if it is true that. However, it is known that Martians are warlike creatures. To them are due the wars on the Earth. So Mars influences the Earth so as to cause wars. Each planet has a specific influence on the Earth and on the individuals as a result of which there is great diversity among people. Venus, which is closer to the Sun than the Earth in order to not ignite by the solar heat is covered with vapour. When passing through this vapour the solar heat decreases a lot its intensity and thanks that there is life on Venus. If people have had developed sense of intuition they could enter in direct contact with these rational creatures from the other worlds. As astrologers are dealing with the question if there are inhabitants on Mars or if there are not, and some of them have even noticed that in certain period of time on Mars appears some light how many of the more advanced people on the Earth can enter in contact with these creatures. This shows that the Martians want to enter in contact with the people on the Earth and therefore are sending light as signals. But the people who do not understand their laws cannot enter in communication with them. The light that the people on the Earth use is not yet so strong to respond to the Martians. Now people have decided to enter in contact with the Martians with the help of the radioactive waves. How long, how many years it would take them, it is unknown. There is a relation between material and spiritual phenomena in life. For instance, all the stars are not only lighting, but have certain spiritual influence on man as well. If you look at the Earth with the eye of a clairvoyant, you will see that it is connected by innumerable threads like balloon. By these threads it is connected with the entire universe. Over these threads huge energies come to the Earth. Someone says: “I do not know why, but this and that planet influences me a lot”. Of course, it influences you; you are connected to it with a thread. Which man can connect to an electric wire with electric current passing on it and would not feel its influence? Many people think that when they live alone, out of the people they will more easily progress. If man thinks so, it means to deceive himself. Once arrived on the Earth among people, animals, plants and minerals, man cannot be free of their influence. And even the smallest particle of everything that goes around him, affects him. On his part, and he as well affects all living beings. All the nature affects man, but the man also affects nature. This law is inevitable. The Sun, the Moon, and the stars – they all have influence on man. Therefore, you will know that everything the Creator has created, is relevant to all living beings and is beneficial to their development. It is not enough to study the human body, as well as the character of man, but you should look at him as at a rational station through which he enters in contact with the entire cosmos. What do we use all these distant suns for? However, a day will come and we will see that everything in the universe has its reflection on us. And large bodies and small bodies, each element, no matter how small it is, in nature exerts influence. Some people suffer from lack of iron. Some people suffer from an abundance of gold. Some people suffer from an abundance of mercury. The whole world, these are opportunities for man. You sit and discourage because you do not understand. The entire cosmos presents conditions for your future development. Why should you discourage? The entire cosmos, these are possibilities in which your soul, your spirit, your mind, your heart, your will - whatever you may qualify, you can get those goods that do not have them. You, with all the good that you have, sit and discourage. You watch the Sun, saying: "The Sun is high, the air - clean, but I lack money." This, what you miss, you will gain from the air, the light; you will get from the Earth. A writer, Swedenborg, has allowed himself to describe this experience. He says that he has gone to Jupiter, Mercury and other planets and has been convinced from his personal experience that there is life everywhere, all the planets are inhabited. On each star, according to this study, there is a creature that is in compliance with you. On the Moon there is such a creature on Mars, on Venus, on Mercury, on Neptune, on Saturn, on Uranus, on Pluto, at the Sun there is, at Sirius, at all the suns, planets, stars and constellations there are These are 100 million suns in our galaxy only and on each sun there is a single soul connected with you! So there are 100 million creatures that are in harmony with you only in our solar system! Every day they are calling on the radio and are waiting for you to answer. Every day the stations are sending blessings to you and are waiting for you to answer. You sit there and say: 'What do they think of me? "You only think and you yourself do not know what about. You think to get married, or to be appointed a professor somewhere, to give you some important work or to get a service, or you are getting ready to bury someone. You think about these minor works. Marriage in this sense is an entertainment. It is because if it has been a very serious work, people should never be divorced. Evidently, it is not serious when they get divorced. If this has been a serious work – life - people would not have died. You say: "How just one to love me?" Not only one, yet 100 million creatures! One hundred million suns are and around each sun at least 120 planets there are, so one billion and 200 thousand. And each planet has a satellite like the Moon. So, there are 10 to 15 billion beings who think about you. These beings from everywhere think about you, but you're discouraged, you think to kill yourself. This thing is incomprehensible, right? It is incomprehensible for all educated people on the Earth. If you do not understand, rejoice that you are taught. You should not think that everything we talk about, we must understand. You might be thinking only about incomprehensible things, about understandable things no one can think. Enjoy when you think about incomprehensible thing. You think about heaven. Do you know what heaven is and where it is? You think about the angels, but you have not seen them. You think about God, but you have not seen Him either. If you know one thing, you stop thinking about it. There should be only a few understandable things to have. We should have only one understandable thing; everything else above 15 billion should be incomprehensible. You do not even know the name of the Sun. And other stars you do not know them as well, incomprehensible things they are. You say: "Is this true or not?" It is another question whether this is true or not. Let in you stay the idea that real is only what remains in our thoughts. Only these thoughts, those feelings, those deeds, that matter, that remain in us as part of us and keep us in touch with the outside world, this is real for us. In our blood there is a small amount of gold, which is essential. Besides gold we have particles of all the elements in space. Electricity, magnetism, ether - this is the circle of matter. These small particles keep us in contact with the big world that we permanently perceive. What goes on in the big world, the same happens in us. Let us say that any change, any perturbation in space, it is immediately reflected on us because we are connected to this system. You cannot find the reason. If they tell you that on this-and that place in space changes are going on, you say: "What impact does this have on me, the small, little man?" I ask: if you hold one end of an iron rod, 100 m long, and its other end starts to heat, would you not feel the heat over time? Surely you will feel it. The ends are connected. Material world is organised. It has almost come to the end of its organisation. Now remains to be organised the stars’ space, to be organised all the stars and to be established organic connection between the living creatures. For instance, between those who live at the Sun and us, there is no communication now. There is no news in the newspapers. In the newspapers there is no news from the Moon either. Our scientists think that the Moon is desolate. From their point of view they are right, but in the world there are no desolate worlds – even on the most desolate stars there are living creatures, but not stupid. There are no people living there, but there are creatures that are living better. What autodafe there is in the universe! As you look, whole solar systems burn. Scientists see a burning star shine, flared up. But all these stars that are out there, burned to create another world. A planet becomes apart. These planets are between Jupiter and Mars and are scattered thousands of pieces that move. Until now, astronomers do not know why. But the consequences, we have them. Each man is a representative of the great life, of the universe, of all the solar systems. You say that nature is alive. Not only nature is alive, but also the whole universe is alive. And if man has come to the Earth, he has come to testify that he lives somewhere in the universe. No matter how small he is, he is an expression of the entire life in the universe. If life disappears one day, and he as well will also disappear. Therefore it is said "as long as I live, you shall live." You may object: "What happens when man dies?" Man does not die, but he is raised to a higher level. So when man asks himself, why he has come to Earth, he must answer: "I have come to Earth to testify that life is manifested everywhere." So when someone asks you, do you believe in God, you have to answer: "I am a living witness of the fact that God exists. If I live, God exists. You should know the laws of the flesh and you should follow them. When people approach the flesh more than they need, a terrible reaction occurs in them and tortures them. To avoid this reaction to occur between them, they must be at a distance from each other. Astrologers have calculated that between the sun Alpha Centauri our Sun the distance is so great that it can fit three thousand solar systems like ours and still remain free space. The same could be said for the people. Normal harmonious relations to exist between people, they should be at such a distance from each other that between them could be fit three thousand people. When there are no harmonious relations between the people, it shows that they have not complied with this distance. Sometimes man is running away from home. Why? It is because he is very close to his relatives. When it comes to distances between people in the flesh, they must be not too close and not too far apart. For instance, the Earth has some relationship to the Sun, to Mars, to Jupiter, to Saturn, to Venus, to Mercury and depending on those relationships are defined and the distances between them. So there is a rule that defines the distances between the planets, the sun and the stars. The distance from the Sun to Mercury, for instance, defines a way of living; the distance from the Sun to Venus, to Saturn, to Uranus, to Neptune, defines new ways of living, to be studied. When studying life on the Earth, you will gradually go around the other planets, while learning and their lives. Who know the qualities and manifestations of the various planets, say about a man that he is kind of Merkurian, for instance, or a Martian or a Venus type, etc. These are measures, relationships, size, and projection, according to which is determined where a man is relevant. In occult science is known as soul so and heavenly bodies move in circles, others have elliptical orbits, the third move in a parabola, and fourth - in hyperbole. These are the most advanced and solve the most difficult tasks. The larger a planet is the farther from the Sun it is. All reasonable and noble creatures have studied for centuries and then what they have learned, they have projected it outward. Thus a line of systems like the solar system has been created. What greater science you can imagine than that has found and has put into action one key, which does not change the balance of the Earth, nor its internal structure? The smallest change in the forces and the laws that govern the movement of the Earth would create such a catastrophe for the life of the organisms as has never been expected. Hence we see what a great intelligence manages the Earth, so that it can maintain its balance, to preserve the life that takes place on it. The speed at which the Earth moves corresponds to the degree of development to which human consciousness has reached. All the planets, all the celestial bodies move at a speed that corresponds to the consciousness of the creatures that live on them. Moreover, the greater is the velocity of these units, the greater the intelligence of the creatures that inhabit them is. This does not apply to the comets, tailed stars that have relative speed, but for those stars and planets that are placed in a certain system. The higher the speed and the greater the distance from the Sun are the greater is their intelligence. The lower the speed and less the distance from the Sun, the less is their intelligence. For them could be said that they are old already. Many will wonder what the relation between people's lives and speed of movement of the planets is. Between the lives of the people and the movements of the planets there are certain relations. People have not yet come in line with the movement of the Earth, the Sun and all the planets in the solar system, visible and invisible, distant or adjacent to them. And they need to coordinate their movement, the movement of their consciousness with that of all the planets in the system, to which they belong. "Why should we be interested in these distant planets?" You should be interested them until they have come closer to you. They contribute a lot to the human life. If man could get in contact with the living forces of nature, the speed of movement of his consciousness would be increased, and the consciousness itself will increase by a few degrees, his life would improve and he would become happy, healthy and self-confident. The most harmonic disc that exists in nature, this is the disc of the Sun. The shape of the Sun is one of the most harmonic discs that exist in nature. There is no more harmonic disc. In the future, as our consciousness grows, the Sun will modify its shape. So far, the most harmonious curve this is the one of the Sun. Take this line as it is in the consciousness, not as it appears, not as we see the Sun on the horizon. We do not see the circle right. I'm talking about the circle that appears in consciousness. When you want to bring harmony in yourself you can induce the form of the Sun in your consciousness to form harmony in the consciousness as well. Some time after the Sun second comes the Moon, after the Moon then Venus comes, then Jupiter in shape. From the stars the most harmonious disc has Sirius, then all those of the first magnitude 19 stars - and they are harmonious. If you study them, you will get good things. Some people are melancholic, if they are connected to the stars of the first magnitude, their melancholy will vanish. Each of you should know something about the nineteen stars. You have not studied them. So, I say: the sky, it's a book, dissolved since thousands of years and these inhabitants of the universe are waiting for the inhabitants of the Earth to deal with the main features of the sky. Each star shows what you have done, where from you have passed. All the stars are a letter written about human life. Therefore, while looking at the stars, it is you’re past life. The Sun is our creditor; the Sun is shining on us, at which we heat. The stars represent the past life. The Sun presents the present life. Now you expect from someone. All the people, that you meet they are people of the past which you are familiar with. Often go out to watch Sirius. In July and in August it rises in the east some time before the sunrise and in the spring – in the evening. And anyone who is sensitive, he will feel that in starts trembling a quiet joy. This joy is a presentiment of that great happiness that awaits man when he goes to live on Sirius. In Sirius there is a harder life than in the solar system because it is more advanced as a system. In the distant future, leaving the solar system you will go to Sirius. The inhabitants of Venus are more advanced than the inhabitants of the Earth, and the inhabitants of Sirius are even much more advanced. The current state of the Earth is since billions of years, but this time is very little for the consciousness of the higher beings. The Divine Science claims that since man is on the Earth have passed 18 million years. To everyone who has finished his development, they will give him a task to create a solar system and then they will see what knowledge he has acquired. There is no science for the future. The future is based on faith. Current astronomers say they have scientific data. They say what changes have occurred with the Stars. What they know now is what has happened since several thousand of years ago, the present - they do not know. For instance, thousands of years ago when a planet is burnt due to a natural fire, they will learn this thing today. All people live past life. Rarely will you meet a man who lives in the present, all live life that has gone. It is very hard to live in the present. This notion that we have about the universe, it is not about the present, it is about the past. There are some stars whose light reaches the Earth for 100 years, the others - for 1,000 years to 200,000 years to 500,000 years. Many say: "We know the universe." You know the universe as it has originally been, thousands and millions of years ago, but not as it is today. What it is today, we will know after billions of years. The light that we see from a star is the light that comes from millions of years ago. What is the light it now, we do not know. The same could be said for the Earth as well. What is the Earth today, we do not know. We study it, as it has been millions of years ago. In the future we will study it as it is today. There could be advanced beings that know the Earth as it is today, but they are a few. That's why, when people say that the Earth is bad, they have in mind its distant past. When a house is in construction, is it beautiful? It is not beautiful. When it is built, plastered inside and out and when it is furnished, the house becomes pleasant. Then it is a pleasure to look at it. As it is under construction, everything is messy. Why should I watch how the house has been built? The Earth is still being plastered, it is not completed. Outside it is still not plastered with the mud of Love, as it should be. Yet there is still a lot to be plastered. The study of the sky helps to develop the human mind. Some believe that astrology is an abstract science, but I think it's a very practical science, but real astrologers are hard to find. It is a great science hard to be learned. 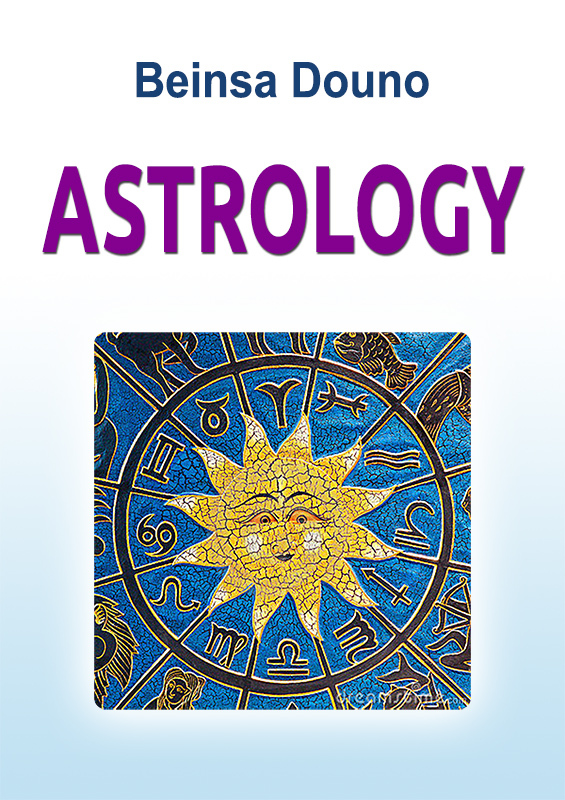 Astrology comes from the first culture; it is conceived with the first race that existed on Earth in prehistoric times. Astrology is the physiology of the human soul. When the first teacher of the mankind – Adam – has died, the people have lost their knowledge of heaven. Their knowledge has only reach Saturn, so it has been put a head of the man. The human brain symbolises Saturn – the philosopher, the critic in man. The planets, in general the heavenly bodies, are centres out of which go enormous energies in all directions and on this is based their importance. There are special situations, where important moments in life are determined by the position of the planets, the Sun and the stars. The Scripture says: "The letter kills, but the Spirit gives life." Astrology, by studying it as a letter kills, but as a science is important for the Spirit. The rational home has created the principles and the laws and man has to learn from them. In astrology, certain keys are lost. Man must know what hours during the day are of the Sun; each day has hours of the Sun, as well as every night has. Uranus and Neptune create too much misery to people not because they have bad influences, but because contemporary humanity is not yet ready to accept properly their energies. They now intensify their activities. Man has 12 bodies and each house in astrology corresponds to a body, as well as each sign of the zodiac. Major astrological predictions do not come true, and small is true because the zodiac, which astrology is now working with, is for small things. But for the big things there is another zodiac, which should serve the astrologer. There are 7 signs in that Zodiac. When love disappears, when disappears the one, the great life, then appear all the painful conditions, then come the bad consequences, then will come the bad astrological aspects. You say that Saturn has done so, Jupiter, Venus. They have not done anything, you have done it yourself. Man has existed before Jupiter, before the planets have existed. What would you say then? The man has existed before the planet Venus has. Then who has influenced man in the world? When astrologers talk about the influence of the planets, they have in mind that, the initial state, when all the planets have been arranged in belts. Each belt has been driven by a rational being. And whatever impact these planets have had on the people, they only today get to know about them. Once, when the planets have been in such belts, then they have affected the people, not now, but only now the people understand about this, when the planets now are already separated. Today they have a very different purpose. An astrologer today cannot predict what the impact of the planet on man is. Some things are true and some are not. Some astrologers can predict events that will happen anytime soon, but they cannot predict distant events. For example, now are predicted many things and they need to be monitored to see if these things become true. For a year, some things can be true, but some will not come true. There is a reason given predictions not to come true. There are things that are not on predictions. Some predictions are not made properly. But there are things in nature that are specified. The Saints, or those who we call saints, they have had radio, have had a job with the Sun, they have received the news of Venus, from the Moon they have received the news, from everywhere. They have been silent, because if they have allowed themselves to speak in their time, they would say: "Crazy people!" Now they prove that it is possible for a man to communicate with the Sun. In the newspaper years ago there has been a note that a message has come from the Moon. A man has received from the inhabitants of the Moon the first message. They have said that a committee from Europe would be sent to examine the data he uses. Each planet of the solar system has its representatives on the Earth, like each country has its ambassadors. They have thinner bodies and are free from the limitations of the body. How many times have you met them! They are not known. The whole solar system is one. Each of the 12 apostles has had one particular trait, one virtue. They correspond to the 12 signs of the zodiac. Each apostle belongs to one of the signs: John has been feminine, Paul has been a Martian in him has been developed the causal mind, i.e. the upper part of the forehead. Apostle Thomas has had an objective mind; he has been with interest in the material field. In heaven there are 19 stars of the first magnitude, 120 of the second magnitude, and the others are smaller. Do you now know the names of the 19 stars of the first magnitude? After three months, I want you to tell me the names of the main stars of the first magnitude. In any astronomy book you will find them. They are somewhere in the heavens, but their names you should say. The first in value is Sirius, which is the second? We will leave this now. I have already given you one name, the other 18 you'll find them. In the astronomy they are labeled. You will say: "What for will we use these 19 stars?" If you know the names of these 19 stars of the first magnitude, you would gain a lot. Sirius has a culture twice more sublime than the one on the Sun. And on the other stars there is culture three times more sublime than this of the Sun. On others - five times more lofty six times and you will go up to 19 times more lofty culture than that of the Sun. Now you will say: "Are these things all true?" Where from do you conclude that they are not true? I talk about things I know, but do you think about things you do not know. The very number 19 is a lucky number. Finally, the number 19 already has nine. You have one, it's the Divine origin, you have 9; it is the end, the result. As you pass from 1 to 9, you will have it. Be interested in the stars. God has worked through all the eternity to build these stars. He has used so much thought of them! People do not understand yet. I see God's providence in the Sun, in Sirius I see God's providence, in all the stars I see what God has been thinking and what he has intended. And what a great work it is. Those suns that have life in them, shine with a red light, and those who have the knowledge and wisdom, shine with white or pale yellow light. When you look at a star and connect with it, it will exercise its influence on you. Theses stars that have light, they are rational – light is expression of rationality. Each star has a tone, music comes from the stars. Singing and playing of the spheres is something magnificent. It is enough for man only to look at what surrounds him, to understand that he is steeped in reality. The sun that rises and sets, the stars that shine at night, water flowing - all that is created for man - to learn, grow and develop. "Could it be?" It is. If man is the highest form created by God, why not accept that the world has been created for him only? By studying these forms, man is associated with the power that governs them. It means a man enters the rationality of nature. Rationality differs, like the tones, in having its response. When it comes out of its source, moving through space until one day, it returns to its source. In the way of its movement, everyone enjoys it as far as can be accepted. Who is willing to take rationality, he sees it everywhere. Look at the stars; it speaks to them as to sentient beings. Many wonder how can man talk with the stars. As you talk to people so you can talk with the stars. Every star presents an intelligent being that has completed its development on the Earth. Heaven is nothing but an entity of intelligent beings that carry God's Will. Some of the stars have manifested, and some have not yet developed. Astronomers see the manifested stars. However, the wise, i.e. people of great virtues, can see even without a telescope and the undeveloped stars. Therefore, if you want to fix your life, leave the world of delusions, it is enough to connect with the light of one of these stars. I criticise the philosophy of "pure reason": pure reason is the one who sees what's on the Sun. Pure reason is the one who sees what's on Sirius, who sees what is on the Moon, on Jupiter, on Mercury, on Venus, on Saturn, on Uranus, on Neptune – as he looks, everywhere he sees. Another sees nothing, and says that God has spoken to him. On the other heavenly bodies there is beauty that man cannot imagine. Having moved out there he will say, "No ear has heard, no eye has seen it." For example, in another solar system by sitting under an apple tree, it will lean its branch to give you a fruit. But everywhere there are customs and when you want to go to the Moon or the Sun will pass through customs. Me, I am happy to tell you the truth, in which you can participate, to bring you out in that world, where you can be happy. I am glad the light to enter in your mind; you to be able to achieve everything you want. I want those noble feelings to penetrate in your heart that what you want to achieve. I want the forces to penetrate in your body so that you can have a removable body, which you can move and you to go to the Sun, the Moon. Isn’t it worth for a couple of years you to make a tour of the Sun and then to tell about your experience? Now I do not want everyone to go, but at least nearby. You say: "An apartment to have" Very few you want. If you want this apartment, everyone can have it. I, if I want an apartment, I'll want it to be of the most refined material, transparent, clear, through which light passes. If I wanted a carpet, I want it to be the finest that never stains and you will never set foot in those shoes. If you come this way to live, you saw me, I would never step on the Earth, I will be four fingers above the ground that by going on my legs, my feet will always be clean, as well as birds go. You say, "How is that possible?" Birds go like that. But they put their feet back. I, as a man, I will walk four fingers above the ground. It is for you to be intelligible, if I lifted up, you will not see me. When the soul leaves the Earth, it spends about 45 years in the invisible world, where they make detailed calculations for it, i.e. determine its horoscope. When they accomplish this task, they send it to the Earth to realise its horoscope. What astrologers call a "harmonic combination" is the moment when the evil in the world cannot give up. Specifically, man should not have bad influences of Saturn, of the Moon and bad influences of Venus. Partly - as astrologers say - the bad effects of Mars. And all must be under the sublime influence of the elevated Sun, under lofty influences of Venus, of Jupiter. These are tasks that can be transmitted to a modern language. I do not have time to deal with what I understand by this and what astrologers understand. Everything high, wise, noble in man, who raises the human spirit, it means the planet Jupiter. These are reasonable influences acting on the Earth. The strongest influences are of the Sun - life-giving influences. Bad or good, it is relative. I say: relative things are determined by the time in which the energy and activity change. You cannot always do good or evil. Someone will say: "Why not?" You cannot do evil, because all evil is astrologically determined. There are circumstances in which you can do wrong. And if this condition is gone, it is closed and you are no longer able to do evil. And this energy, this activity, which has gathered, pushing, but if its path is closed, you will change the energy in another direction. So it is for the good, so is for the evil. Conditions are not always for doing the good. And every moment is for doing evil. Man is not master of the planetary influences, but he can reasonably use what they carry. Whoever wants to be born on the Earth, he should know very well astrology, to know in what year to be born in what month, what day, hour, minute and second. If you're not born during the year, month, week, day, hour, minute, and second, when you should be born, your works on the Earth will not go better. It is not because nature is not willing to help you; but between choosing the time for you to come, nature and the planet influences there is a discrepancy. To bear a child in a physical way, it's easy, it is important to bear the child spiritually. Real Birth understands to bear a child simultaneously in the four worlds: the world of truth, the world of wisdom, the world of love and finally into the physical world, to put the child in flesh. That means - born of God. Only the born of God has a future. If he wants to create a healthy, capable child, man must be serious about marriage and childbirth. In ancient times, in addressing these questions people have benefited from the occult sciences, astrology in particular. They have consulted experienced astrologers, when, with whom and how they should get married. In fact, they have enjoyed astrology in their upbringing and self-education. Today, few people are interested in the occult sciences, they treat them with suspicion. Modern people are unaware that it is defined for man: when will be born, of what kind of parents, what talents and abilities he will have, which teachers will teach him, how his lives will end, etc. An experienced astrologer can predict this in great detail. For each birth there are mathematically précised dates. There are dates in which it is not possible a man to be born. Nature does not allow violating its laws. It says strictly to the mother: removal will become only on the ninth month of the ninth hour of the ninth minute of the ninth second. The ninth hour can be in the morning, in the afternoon or in the evening, it depends on the rotation of the Earth. If this time coincides with the rising of the Sun, the result of the subtraction is one, if it matches the setting of the Sun, the result is different. I'm not talking about simple counting of time, as we are counting. Nature has a different way of counting time. If young children die, this means that their mothers have not born them properly. All the children who are not born on time, die. The mistake of the people today is that they are not born on time. The whole mistake is there. In my opinion many people are not born on time. Let's say, someone is astrological Martian, but not brilliant Martian. This man will make scandal wherever he wants. Do not bring him into a world where he should. Someone is Jupiterian, but has no positive nobility. Another is Venus type, but has no positive love. He is a Merkurian, but has no that technique of knowledge, wisdom, he is embarrassed by small things. Or, someone is Saturnian type. They say: "Poorly written." Genial Saturnian type is excellent in reasoning, he is an excellent philosopher. So believe in what is inside you. Do not believe in what is outside of you. And in it you can trust. At first, believe in what is inside you. It is the most valuable. Who is to blame if a woman has given birth to an idiot? The mother or nature is to blame? When a woman is ready to become a mother, she has to know the conditions under which to conceive this child, not to give birth of an idiot. Many of you are familiar with astrology as well as with the pedagogical rules and say: "In the past it's been like that!" It is so, and then people have been getting married, and children have been born, but at a certain time. It is not defined to give birth always and at anytime. It is not certainly defined to ever die, nor is determined to get married ever. Some astrologers claim that in one second are born of thousands of people, so they will all look alike. However, they take the second as a base, the shortest measure of time, but they forget that it can be divided into millions of smaller particles. From this follows that, the two men can never be born at the same moment. The light for a second passes the enormous 300,000 km. If 300,000 people are born in one second, one kilometre distance there will be from one to another between them. As you look from afar, thinking that this distance is not great, it's 300,000 km, collected in one place. Imagine a thin wire, which we assume to constitute one thousandth of a kilometre. One hundred thousand kilometres of such a wire how much space will occupy? All your ideas you can gather in a hazelnut. Once you have lived 70-80 years, all your grandiose ideas that you have ever had, you can bring in a little hazelnut. You say: "Prove it to us!" This is a scientific statement. There are things that cannot be proven. Reality cannot be proven. People come down to the Earth at all zodiac signs, but their success is not the same. Some people come to favourable combinations of planets, due to that their works are going well. Man is born neither happy nor unhappy; however, people are born with conditions to be happy or unhappy. The moment of birth determines the conditions of his happiness or unhappiness. In occult science there is not great success, because there are many collected data that cannot be generalised. It has facts, where there are many exceptions. For example, in physiognomy it is said that the long nose is a sign of intelligence, but this is not always true. When the lower part of the ear is well developed and the ear itself is big, it is a sign of long life, but this is not always true. There are certain relations. Is said that people with big eyes are very impressive, and some say that people with big eyes have been born at night, so their eyes are large. To some extent these data are correct. In order to develop well the brain system, man should be born around March 22, the day of the equinox, and if the mother is in particularly raised state of mind and soul. Those who are born from March 22 onwards are more idealistic, their mind works more than the heart and they suffer mainly from headaches. If someone says he suffers from headaches, I know he was born in March, when the Sun is in Aries. From an astrological point of view, man who was born in Aries in the first house of astrology, what kind of person would he be? The first home is the house of move, the house of fire. It is the home of the human mind, the human head, and manifestation of life. Today, 75% of scientists, artists and philosophers are born under one of five signs: Gemini, Libra, Aries, Scorpio and Virgo. If a child was born in May, his feelings will prevail, that child will feel more; this child will think less. May predisposes to eating and drinking, to music and fun. . If a person is born when the Earth has passed closer to the Sun, or when he was born, one of the other planets was flowed closer, it will affect him. Could be Venus has been near when he was born, the Moon could have been closer, this will have some impact on the man's character. Scientifically, how have astrologers found out which planet how influences? They say this and that planet affects the man like that. They have dealt with the issue in purely mechanical way. When we speak of a planet, we mean rational societies, rational societies of the Sun, rational societies of Mercury, rational societies of Venus, rational societies of the Moon, rational society of Mars, and what influence they have had. The planets, the Sun is housing these creatures. Those, who are born in the morning, they are completely different from those, born at night. Everyone bears the scars of the hour, minute and second of his birth. There are people who are born during the day and others who are born at night. These people, who are born at night, in the dark, no matter how much you teach them, they will always remain on a special point of view. Meanwhile, the born at night are still more people than the born during day. Consequently, they have done a whole organic world. But scientists are people who were born at night, in the dark, all the priests, who were born in darkness, philosophers, and poets, writing in the dark. Their views on things differ. When the day comes, they already have a different concept. You say: "Why the world is cranky?" Keep people to be born during the day! If you cannot do this, the world will be in this situation as it is at the present. Any teacher to come to preach any doctrine, any religion, he is unable to fix the world under the current organic structure. The world needs to restructure the laws that exist in living nature. This is not arbitrary. All things, all phenomena in nature must be studied scientifically. By studying all modes in which life occurs, and we come at last to the man who is the most perfect form. It is like comparing humans to animals, but when it comes to the angels who are still creatures of mankind, more sophisticated, we see the enormous difference between humans and angels. You say: "Where are these angels?" They are on the Earth and we humans live beyond the Earth. We are still in the vestibule of the Earth. The Earth is much larger than we know it. Now they measure the Earth and say that it is 12,000 kilometres in diameter. This is the perception of beings. If animals had measured the Earth, they would have had a completely different view of it. This is up to the consciousness. The people in their consciousness have come to 12,000 km, but the Earth is much greater. At first we are not inhabitants of the Earth, but we have come to Earth to learn that great law, how should man be born and how should be educated, and how to overcome difficulties. That is why he has come to the Earth. Anyway, if he wants immortality, he will return to the Sun. The Sun is the real life; the Sun is the true land. It has 100,000 km in diameter. Astrologers see the Sun as a land. Astrologically, they take it as a planet. They say: solar type, Saturnian type, etc. So, astrologically the Sun is a planet. And they are right about this: The sun is a great land on which to live best. Astrologers take into account only the planets and in this all the stars have a huge impact on man. Diversity among people is due to the influence of the stars. To awaken the soul, it is necessary that it have sorrows, sufferings. If a man comes up to these afflictions, he should be happy because God visits us in the evening, in times of grief and suffering. In the evening, when we go out under the open sky and around us is only darkness, but we look at the sky, we will see countless stars, countless suns that send us their light. Through them, we can only know and understand the true poetry, the true music and the true beauty in life. The more often a person raises his eyes to heaven, the easier he will rise above the pettiness of life. Astrologers say that the stars authorise the issue of life. And indeed it is: each star is a reasonable point through which God speaks to people. There are people who are less interested in the sky and the stars. This is available for people with high intelligence, with lofty mind. Stars set the culture. To deal with stars man should be advanced. At first he should have been taught in stars’ school, and then he should have studied at the University of the Sun. For many people, these things are pointless. And they are right. It is pointless talking to deaf man, the light to blind people. Christ had 12 apostles. The figure 12 shows a whole era. It is a number that shows the path of the entire humanity. The 12 signs include all humanity. And having output it means to come to an agreement with all mankind. To understand what this Zodiac is - those are blessings that God has created in this zodiac. Get around that as a whole circle in which humanity lives, and be as happy inside. It means to be in agreement with all living people in the world. In the right context behind each sign there are 90 degrees. These 90 degrees represent all the possibilities that man at a time can perceive light. Zodiacal circle is divided into 12 equal parts, called homes. Each home is linked to a specific zodiacal constellation. Each home serves as a reservoir in which flows if not all, then at least part of the energy of the stars of the constellation, which is connected to this home. One is under the influence of the home where he was born. On March 22 the Sun enters the sign of "Aries". This sign is fire. Ancient scholars have put the sign of Aries as a symbol of self-sacrifice. Today, everyone knows that in March the equinox occurs. The second equinox is in September. Equinox or the sign of Aries represents the Divine principle of self-sacrifice. The passage of the Sun through the North Pole, through the pole of truth, implies the law of self-sacrifice. To know the truth, the Divine must descend into the material world, to those people who are already on the Earth. When we say that there is a drama, a tragedy of the human soul, we have in mind a kind of entanglement of these people in the matter. These souls should be freed! They are oppressed by the weight of a large building, what represents the material world, but no one suspects that. Nobody knows whence he has come, why he has come, and where he will go. Modern man has lost his past history, the history of its existence. Coming to the law of self-sacrifice, he will return to his being. After the first equinox, in April enters the sign of Taurus, or the Bull, which is generally the mother, i.e. a force that connects all things. Then the sign Gemini comes, which represents the cosmic principle, i.e. the Divine mind. It connects all things together. These three characters in the zodiac represent a triad that is repeated four times during the year. They correspond to the four fields through which man has passed, until his coming to the Earth: he has descended from the causal world to the mental, from the mental – to the astral, from the astral – to the physical, where he finally has stopped. You say: "These are the three months of the year - March, April and May, which we all know." I ask: Do you understand the significance of March? If you understand the importance of this month, you could fix your intricate work. How? As you face your relationship with God. In April you can straighten your relationship to your neighbours. You will straighten your relationship with yourself in May. So, it is enough for man to come into a right relationship with the forces that have influence during these months, so that in one-month only to improve your life. In the current era the equinoctial point is in the constellation Aquarius. Every 25,000 years the zodiacal circle makes complete conversion. When you enter the pool, where there were many sick, Christ stopped his attention on the ill since 38 years. Why at this patient Christ turned his attention? It is because the number 3 is the symbol of the Son, i.e. of Christ, and 8 - of the Divine Mother. From the Divine point of view, both numbers are rigorous and demanding. Number 3 makes life meaningful, to which the soul seeks and the 8 contains favourable conditions under which it can develop now and in the future. When enters into the world or the human soul, the Divine Mother does not judge, but goes strictly, never apologies. Make an experiment with the words "God is Love" to see what power lies within them. Put these words in your mind, in the heart and the will, and you will see that if you are ill, you will recover; if you've only ever watched, from now on you will see; if you've only felt, from now on you will love. Great, Love is a powerful force, but you should know how to apply it. .
What should man do? He should add 1 to the numbers 3 + 8. It makes 12, a number that shows the orbit in which man moves. And the Earth to move from one area to another, it is passing through the 12 signs. And the Sun has its signs, and each solar year is equal to 25,000 of our years. According to the signs of the Sun we are the last. Since the Earth has entered in this sign have passed 145,000 years, there are still 2,008 years to get out of this sign. Then the Earth will enter the sign of the planets and people will stop fighting. After 2,008 years to check the veracity of my words. In ancient occult and esoteric schools have given to the students in a mysterious box. Spring, which opened the box, has been so skillfully hidden that only advanced students could find it. Who has found the spring opens the box and sees a golden egg inside, on which have been written the names of the 12 Gods who work in nature. They represent 12 natural forces that control and govern all creatures. Now comes the time when the planets will be found in favourable mix and will begin a favourable evolution. Then the conditions on the Earth will change. The planets and the stars will change their relation towards the Earth. At this path the people go on, they can never be happy. Not that happiness is unachievable, but it is a combination of all astrological principles that work.